You know how some game jams feature overly complex rules, very specific details as to what participants are to create, how to go about it, and so on? Yeah. Not quite how A Game By Its Cover does things – at least, for its 2017 iteration. This time, both the concept and rules are extremely basic… while still ensuring it doesn’t simply become a ‘create whatever’ jam. It’s also starting in less than 24 hours at the time of writing, so I’ll try to keep it brief (yeah right!). 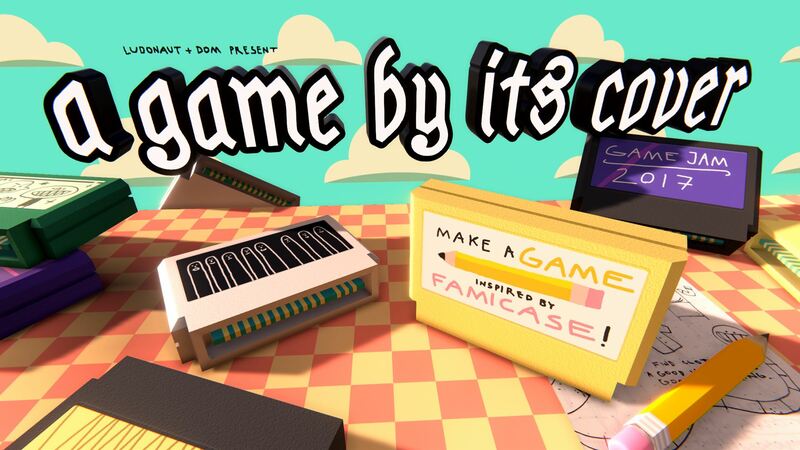 Anyway, “make a game inspired by famicase” is the what’s what of what’s what for A Game By Its Cover 2017. That’s it. No rules. Oh, and ‘famicase’ is referring to this collection. Yup. One helluva collection of odd fictional famicom cover art, and one of those are to be your inspiration for a game – before september 20th 2017. Provided you fancy partaking in the jam of course. If not, well, then… uh… I guess you’ll be like me: eagerly waiting to play the newly created titles on the 20th? Nothing wrong with that, though. We can’t all be developers. Some of us have to be the players and/or bloggers, after all! Or both. Some are both. I’m not. One last thing: you may want to read the FAQ, because while there aren’t any rules (aside from the obvious “don’t be mean and please respect the wishes of the original artists”), it’ll still very likely contain the answer to any questions you may or may not have. Even those you didn’t think you had, prior to reading the FAQ. So please read it, eh?